unicorn, unrequited love, bees, bees, and more bees, and chocolates. and explodes with flutters and tingles, she’s almost certain that he’s the one. Colel has a solution, but it’s drastic. Even for her. And what if he says no? I have said this before and I will keep right on saying it.....I LOVE Mimi Jean's style of writing. She is consistently funny and inventive. I mean, what more could a reader want? 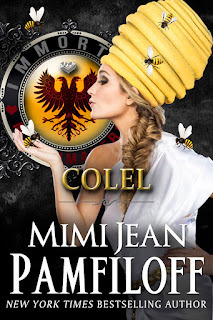 Colel is technically book #5 in the Immortal Matchmakers series ( I highly recommend you read all of the them.) but it can be read as a standalone book. I don't want to give away any spoilers so I will just list the 5 things I loved MOST about this book. 2. The warning at the beginning of the book had me cracking up before I even got to the first page of chapter 1. 3. Rhys- Super hunky alpha with a secret. 4. Colel- Mistress of the Bees ( who have quite the sense of humor I might add) and overall hot mess. She takes the definition of celibate to a whole new level. She may be my favorite Goddess in this series. I have yet to read anything by this author that is less than awesome. 5 stars all the way. You should totally stalk her on all her social media channels. You won't be sorry! Oh Rea Frey! You've Done It Again! An “insidious, suspenseful tale” (J.T. 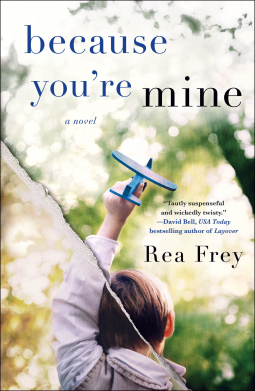 Ellison) with a “shocker of an ending you won’t see coming” (Michele Campbell), Because You're Mine by Rea Frey, the author who “brings to mind Jodi Picoult” (Booklist) and “will appeal to readers of Greer Hendricks and Sarah Pekkanen” (Sally Hepworth) is a novel about how the truth will set you free. But it’s the lies that keep you safe. Lee is a single mother, hairdresser, and best friend. On the surface, it seems like she has everything under control. Her best friend Grace is also a single mom and their boys instantly become fast friends. Lee's son Mason requires a lot of patience and special attention and it seems like Lee has forgotten that she has needs of her own. Her friends are always trying to get her to let her guard down and have some fun but she worries so much about being there for Mason that it never seems like the right time. Lee does start to develop a crush on her son's teacher that could either turn into the real deal or he could just not even be interested. Lee takes a leap of faith and decides to tell Noah how she feels only to have him respond by leaving. She starts feeling like all her old demons are coming to the surface and isn't sure how to stop them. She knows she needs to be able to confide in someone but who? Lee's complicated and dark past have been hidden from everyone in her life and she wants it to stay that way. Grace loves Lee and just wants her to find some balance in her life. Everyone needs to find some love and happiness, right? 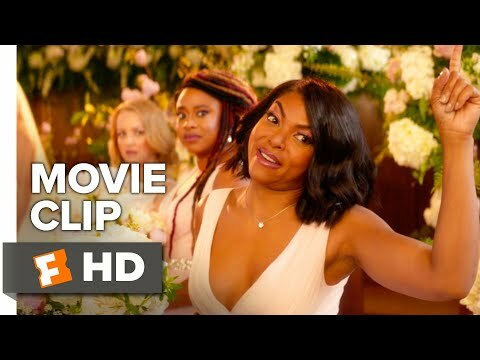 Speaking of happiness, Grace has some pretty big news of her own that she wants to share with all her friends and she thinks the upcoming girls getaway is the perfect chance. Will Lee be happy for her or will this be the proverbial straw that broke the camel's back? I refuse to say anything specific about this book because I don't want to give anything away. I 100% feel like this book is one of the best I've read in years. I had no idea what was going to happen or just how twisted the story was going to get. A true page-turner.